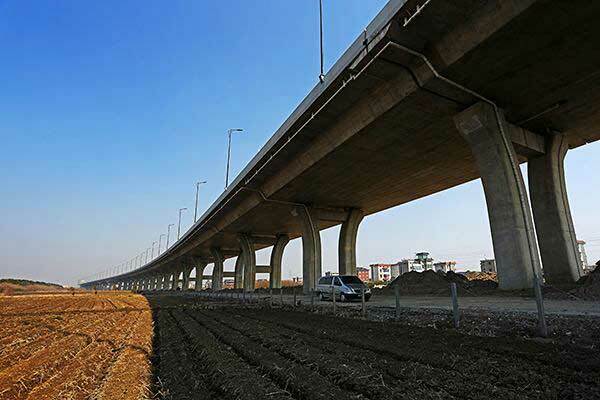 The use of micro silica fume in bridge engineering can effectively improve the overall structural strength of the bridge, and solve the problems of corrosion resistance and folding resistance of the key parts. It also has high mobility, filling, clearance and resistance to segregation and so on, and provides good construction environment. The construction of the bridge is usually composed of four basic parts: the superstructure, the substructure, the support system and the subsidiary facilities. The application of micro silica fume is mainly reflected in the superstructure and substructure. The superstructure, usually known as the bridge span structure, is the main load-bearing structure that crosses obstacles when the line is interrupted. The substructure include pier, abutment and foundation substructure; Bridge ancillary facilities include bridge deck system, expansion joints, slab and conical slope, due to the particularity of the bridge construction, so on the lower part of the structure concrete strength, corrosion resistance, abrasion resistance and other indicators requirements are very strict. Now most of sea crossing bridges are taken to add micro silica, in order to improve the structure performance. It has high compressive strength and resistance to chlorine salt erosion, and meets the quality requirements for the corrosion resistance of chlorine salt under the marine environment.